I had the privilege of speaking with Suzanne Lang of KRCB–producer of A Novel Idea–and this in-depth interview aired April 3, 2017. In her words, “the book is gripping, funny, and rewards with Heather’s reflection on being human on a suffering planet.” Thanks, Suzanne. Tut Underwood produced this delightful 4-minute interview of Dave and me for South Carolina Focus. He uncovers how the ocean is a great teacher if people take time to learn its lessons. And yes, that is Dinghy-the-Sailor-Cat mewing sweetly! Here is a fun, free-flowing conversation with Jane Ellen of Glistening Particles fame. The episode, called, “Heather the Student of the Great Atlantic Teacher,” is about Ocean of Insight, marriage, advocacy, climate change, Buddhism, the book tour, and more! 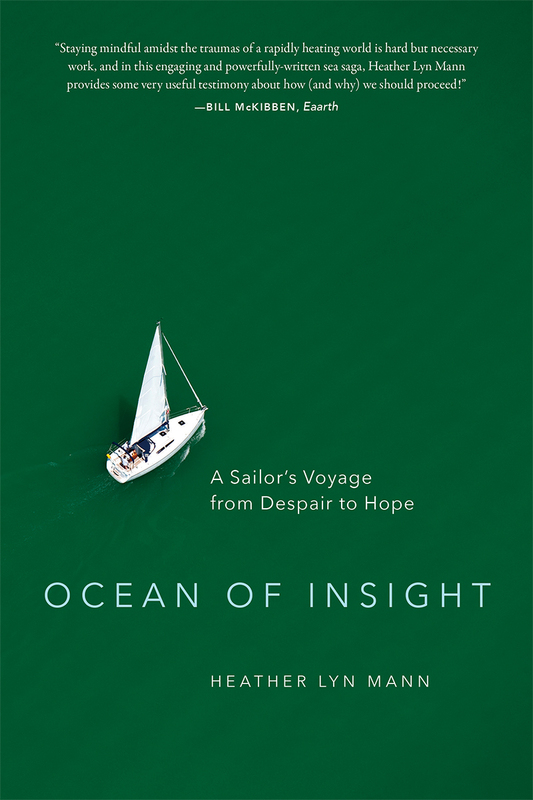 In this reading from Ocean of Insight, we are on Tangier Island in the Chesapeake Bay. This excerpt is from Chapter 5 ETHICS. Here’s an excerpt from Ocean of Insight describing my first Buddhist retreat with Zen Master Thich Nhat Hanh.